The demanding Trunking system user now has a handheld to suit their unique requirements with the new TK-480/481(800MHz) from Kenwood Communications. 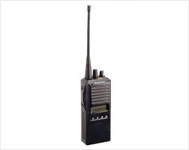 These are 32 systems/250 group capacity radios with cell phone dialing features, 10 character alphanumeric, selecting calling and dot matrix LCD for easy multi-site, multi-group use. 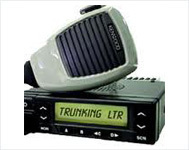 High-performance features such as 16 full-duplex channels, flash memory, and PC/manual tuning � provide crystal-clear and reliable communications to make Kenwood is TKR-750/850 VHF/UHF FM repeaters the first choice for demanding applications. As the requirements for users of Trunking systems increase, Kenwood is there to meet the challenge with its new TK-980/981 compact mobile radios. 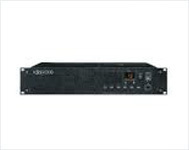 Trunked systems at 800/900 MHz, along mode operation with conventional and LTR capability for alphanumeric two-way paging and other with built-in Fleet Sync features put these models at the top of their class. The TK 980/981 mobiles allow you to stay productive with the outstanding performance and versatility that only Kenwood can deliver.